Reports coming out of Suva in the last hour say the friends and family of Dorsami Naidu are keeping vigil outside the Lautoka police station, where he's been kept. Fellow lawyers are also at the vigil for the president of the Fiji Law Society, who was taken into custody earlier today. It's understood Mr Naidu is calm and collected, but tired from his ordeal. Earlier today, lawyers and friends gathered outside the Suva court house, in a peaceful protest at the detainment of Mr Naidu - and no arrests were made. But supporters at tonight's Lautoka vigil have been warned not to underestimate the hardline tactics of the Frank Bainimarama regime. "Lawyers and Bar Associations cannot protect the Rule of Law through public advocacy alone. Unless the Rule of Law is clearly enshrined in, and safeguarded by the law, society has no means under the law to seek to enforce the principles of equality and justice protected by the Rule of Law. The role of lawyers is to promote and defend the law in order that that society is equipped with the laws – the tools – to maintain the Rule of Law as a foundation for a just and equitable society. There can be – no – greater – purpose." 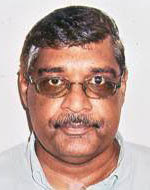 Dorsami Naidu can even pay for his court costs, for his failed legal cases. Naidu even set the stage for the aborogation of the constitution by suggesting it, back in 2008. 28-Aug-2008 08:00 AMNADI lawyer Dorsami Naidu says that unless the 1997 Constitution is abrogated the military led interim regime will not be able to implement the People’s Charter. Naidu told the Fiji Daily Post yesterday that there was no way out for the charter unless the Constitution “is nullified”. He said the interim regime should come out clean and tell the country how they plan to implement the charter. “The interim PM has to come out clean and tell us how they will deal with the Constitution while attempting to implement the charter. Currently the Constitution does not provide any provision of immunity for coup offenders so will they seek immunity for themselves through the charter,” Naidu said. “Another important factor here is that though the charter has numerous good principles, unless and until elections are conducted and an elected parliament is recalled there is no way the charter will be accepted by the people,” Naidu added. He said it did not matter what good the charter would do to the country if implemented. “The game the regime is currently playing is doing huge damage to the nation which will be hard to mend because the charter is not a magical formula which will solve Fiji’s problems instantly,” said Naidu.